This page explains how to use your PayPal account to manage your PayPal transactions, withdraw funds and tips for managing customer enquiries. 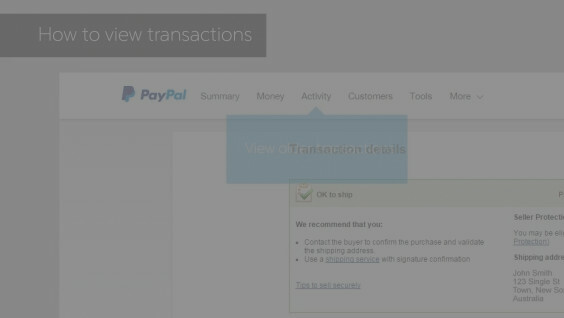 In your account, you can view your most recent transactions on the first page. Simply click on a transaction to view more detail. Click the Activity tab to view transactions for the past month, quarter or year, or define a custom period. You can also filter transactions by type or currency. Once you have started receiving PayPal payments you can use the funds to shop with PayPal or withdraw them to your bank account. If you haven’t already linked a bank account, you’ll need to do that first. It’s free to withdraw funds to an Australian bank account and usually takes 3-5 business days. 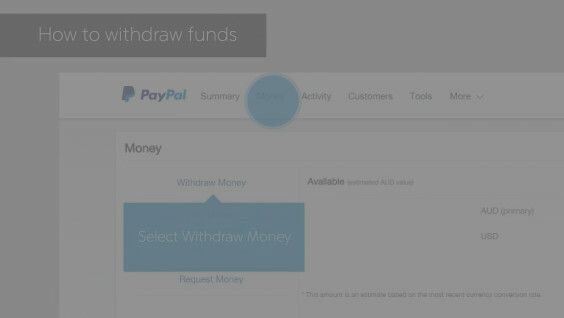 To withdraw funds, log in to your PayPal account and click on the Money tab, then Withdraw Money. Enter the amount you wish to withdraw and select which of your bank accounts you would like to transfer the money to (if you have added more than one) and click Continue. Check your withdrawal information and click Submit. Tips for using your PayPal business account. Make sure the business name that appears on your customer’s bank statement accurately reflects your business. This is particularly important if you operate under a trading name that’s different to your PayPal account name. The Resolution Centre is used as a central place for you to communicate with your buyers if they raise a claim or dispute on a transaction. To access the Resolution Centre, log in to your account and click More. 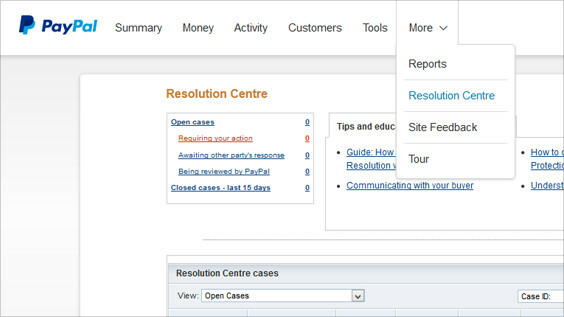 You can read more information about managing buyer claims or disputes by clicking on Guide: How PayPal Dispute Resolution works within the Resolution Centre. Your PayPal account lets you accept multiple forms of payment. Whether you’re online, in your store or on the road, PayPal makes accepting payments easier for your business. Use the PayPal Here app and card reader to accept card payments wherever you do business. Whether you're a big business or a casual seller, eBay is a great way to reach customers anytime, anywhere. With a business account you can operate under your business name and your sales may be eligible for Seller Protection. The PayPal card reader is provided by PayPal Payments Pte Ltd (ABN 64 816 791 531), a Singaporean company.